EGYPT P12(pre-a) "Ruins of Karnak" RAW VF! 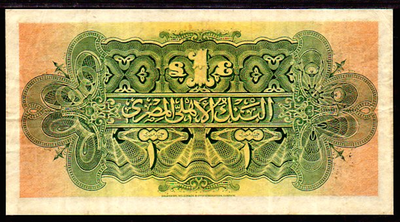 EGYPT P12a (pre-a) "RUINS OF KARNAK" UNIQUE DATE 22.7.1913 1 EGYPTIAN POUND RAW VERY FINE! 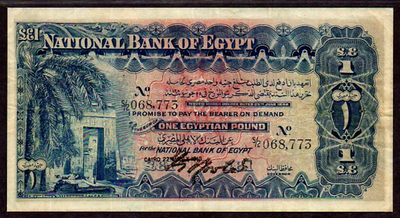 ALMSOT 100 YEARS AGO THIS PRECIOUS NOTE WAS PRINTED DISPLAYING THE MAJESTIC VILLAGE OF KARNAK. WE JUST RECENTLY PROCURED THIS INCREDIBLE PIECE DIRECTLY OUT OF EGYPT WHERE IT WAS RECENTLY UNCOVERED / DISCOVERED. OF ALL THE COUNTRIES ON THE PLANET THAT HAVE PRINTED PAPER MONEY, PERHAPS EGYPT IS NEAR THE PINNACLE IN RARITY IN OBTAINING EARLY PIECES! MOST PAPER MONEY WAS TRADED IN THE MARKETPLACES FOR FOOD, BASKETS, CLOTHING ETC... AND WERE MARKED ON WITH PEN (KNOWN AS GRAFFITI) TO WRITE DOWN TOTALS ETC... AND REALLY "USED" AS DAY TO DAY TRADES TOOK PLACE IN THE MARKET. IT'S FASCINATING TO THINK OF HOW MANY EGYPTIANS HANDLED AND SAVED THESE PIECES. IT'S JUST MINDBOGGLING TO THINK HOW THIS PARTICULAR PIECE HAS SURVIVED IN SUCH A GREAT CONDITION! 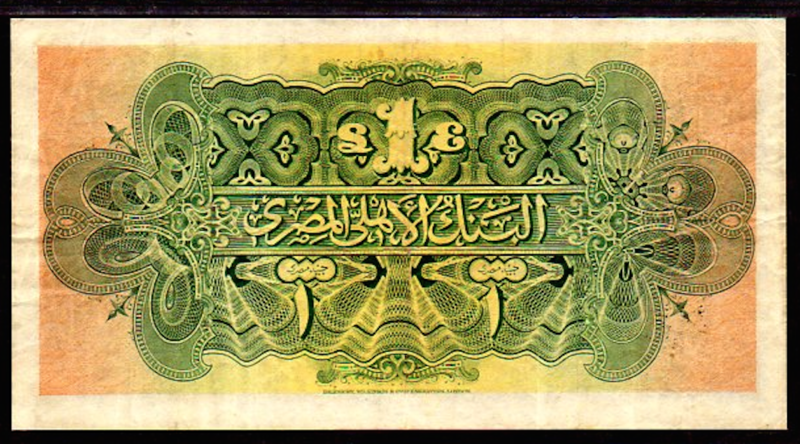 EGYPTP 12a *UNIQUE DATE* 1 EGYPTIAN POUND 1913 RAW VERY FINE! "UNIQUE DATE - RUINS AT KARNAK"